Given Pakistan's influence over the Taliban, the Trump administration wants it to bring them to the negotiating table to end the nearly 17-year-long strife. 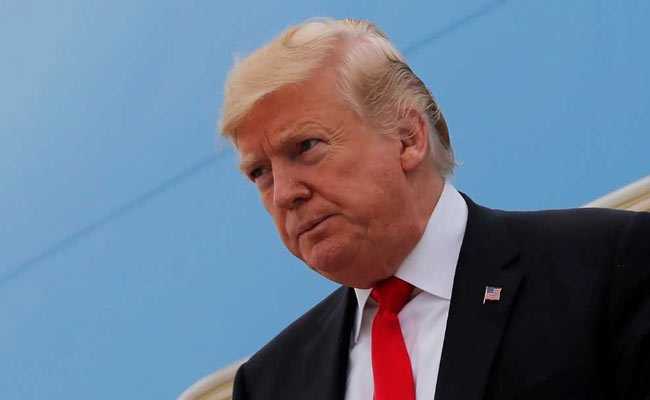 The US is unlikely to revoke the suspension of aid to Pakistan until it sees substantial progress against terrorists and their safe havens, the Trump administration has told Islamabad as top officials of the two countries met here to try to reset their strained ties. Given Pakistan's influence over the Taliban, the Trump administration also wants it to bring them to the negotiating table to end the nearly 17-year-long strife. Secretary Pompeo met Mr Qureshi yesterday following up on their September 5 discussions in Islamabad on a range of bilateral and regional issues of mutual interest. Welcoming the Foreign Minister, Mr Pompeo said the US looked forward to working with Pakistan's new government, according to State Department's Spokesperson Heather Nauert. Mr Pompeo discussed the importance of the US and Pakistan working together to advance joint priorities, recognising that the bilateral cooperation was mutually beneficial and a factor for stability in South Asia. Mr Pompeo underscored a common goal to advance peace and security in the broader region, Nauert said in a statement. In particular, Mr Pompeo emphasised the important role Pakistan could play in bringing about a negotiated settlement in Afghanistan. The Secretary agreed that there was momentum to advance the Afghan peace process, and that the Afghan Taliban should seize the opportunity for dialogue, the statement said. The White House normally does not issue a readout of the meeting that its National Security Advisor has with foreign leaders. Qureshi and Pompeo did appear for a hand-shake photo op before the meeting. According to informed sources familiar with the development, the US side is upset because of Qureshi's faux pas about a handshake he had with President Donald Trump during a luncheon in New York, which he described to the media as a meeting. The situation in war-torn Afghanistan dominated the separate meetings Qureshi held with Mr Bolton and Mr Pompeo. Mr Qureshi met Bolton for 40 minutes at the White House before heading to the State Department for another meeting with Pompeo. The second meeting was also attended by Foreign Secretary Tehmina Janjua and Ambassador Ali Jehangir Siddiqui. In a readout, the Embassy of Pakistan here said Qureshi had a wide range of discussions with both Mr Pompeo and Bolton which included among others bilateral and regional issues including Pakistan's strained relations with India. Mr Qureshi said that close engagement between Pakistan and the US had always been mutually beneficial and a factor for stability in South Asia. He stressed that, going forward, a broad-based and structured framework for dialogue would best serve the two countries' shared interests, the statement said. Mr Qureshi told Mr Pompeo that "peace in South Asia, which was a common goal for both the US and Pakistan, would remain elusive until all disputes, including the core dispute of Jammu and Kashmir, are resolved". 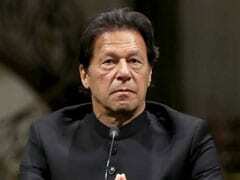 Mr Pompeo, according to the embassy statement, said the US looked forward to working with the new government led by Prime Minister Imran Khan in implementing its reform agenda. Mr Pompeo, who was in Islamabad on September 5 on his first visit to Pakistan as the top American diplomat, had met Prime Minister Imran Khan and pressed him to take "sustained and decisive measures" against terrorists threatening the regional peace and stability. The ties between the two countries strained after Mr Trump, while announcing his Afghanistan and South Asia policy in August last year, hit out at Pakistan for providing safe havens to "agents of chaos" that kill Americans in Afghanistan and warned Islamabad that it has "much to lose" by harbouring terrorists.